Indoor plants can improve indoor air quality to keep us fresh & healthy. 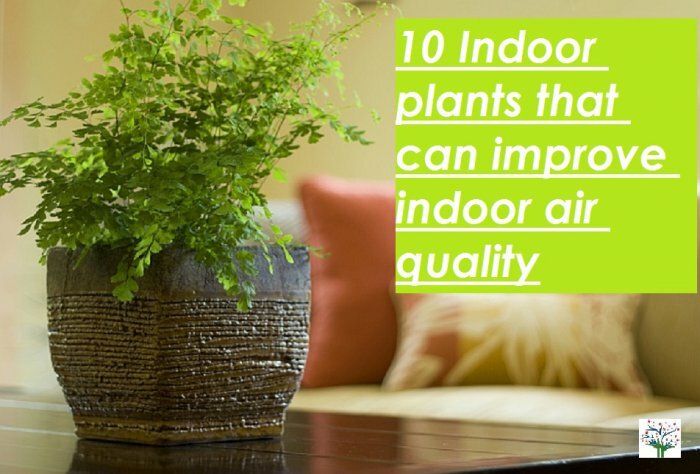 We have collected 10 best plants to improve indoor air quality. Admiring the beauty of plants and relaxing over a cup of tea in a garden is a dream many posses but aren’t fortunate enough to fulfil this dream. A huge garden of one’s own especially in metropolitan areas is a luxury and only few are lucky to get one. But wait, even you can be lucky and have your own very personal green corner! Yes, you can! You don’t need a huge terrace or balcony. All you need is a little space right inside your home for these beautiful and useful indoor plants. A houseplant or indoor plant is one which is grown in residences and workplace. These are commonly grown for decorative purposes, but studies have shown that they provide numerous benefits. Recently they are also called as Air purifier plants by environment enthusiasts. Creating a green corner does not simply mean adding greenery. The indoor plants interacts with your body and mind in ways that helps you to enhance the quality of life. Plants are known to absorb carbon dioxide and release oxygen during photosynthesis, while we do the exact opposite when we respire. We absorb oxygen and release carbon dioxide. Thus incorporation of plants in interior spaces can increase oxygen levels and reduce carbon dioxide level. It is also a known fact that during night, photosynthesis ceases and plants typically respires like humans, i.e. they absorb oxygen and release carbon dioxide. But, few plants like orchids, succulents do just the opposite. They continue their process of taking in carbon dioxide and releasing oxygen even during night. Placing air purifier plants in bedrooms will help refresh air during night helping us having a good night sleep. We all love to save money, don’t we? 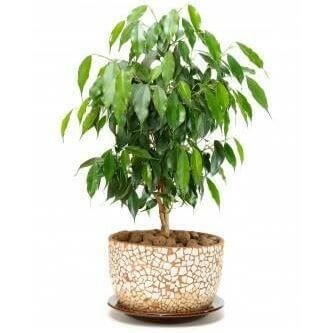 So why go for buying expensive humidifiers and coolers which are not so ecofriendly, when we have an excellent inexpensive option of indoor plants. As a part of photosynthesis, plants release moisture (vapour) into the atmosphere. The process by which they release it is known as transpiration and due to this plants can act as humidifiers and coolers. They help maintain the humidity and temperature to optimum range for human health. 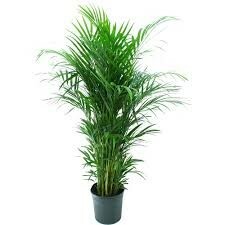 Areca palm is one such plant which releases moisture into a room, making it particularly welcome in dry months. Plants such as succulents and cacti which retain water are not very good humidifiers. Aloe Vera, Areca palm, Ficus trees, Fern are excellent examples of best indoor plants providing cooling effect. It has been studied and proved that plants can remove upto 87% of VOCs (Volatile organic compounds) from air. Formaldehyde – Present in rugs, cigarette smoke, grocery bags, furniture, paper towels, tissue wipes and personal care products. Benzene – Present in paints, oils, rubber, tobacco smoke, household cleaning products and petrol/gasoline. Trichloroethylene – Present in printing inks, paints, lacquers, varnishes and adhesives. Carbon monoxide – Produced from open fires, gas stoves, central heating boilers, etc. It has been discovered that plants purify the airs by pulling contaminants into the soil where the root zone microorganisms convert these contaminants into food for the plant. Indoor plants are Natural Scents. Some indoor plants like dwarf kaffir lime tree fills your home with fresh smell. This fragrant plant provides a best way to freshen your home and the lime aids you in the kitchen! Studies have shown placing air purifier indoor plants at your home or in workplace have a positive effect on your psychological behaviour. Getting a good night’s sleep has become difficult in the recent life cycle. But, why to worry when we have the aid of our beautiful friends. It has been studied that some plants like Lavender and Jasmine release vapours which can help you get a more restful sleep. The smell from these plants induces a state of tranquillity that will help you prepare for a good night’s sleep. Indoor plants – Lower background noise. Plants are said to act as a noise barrier. The indoor plants also help to reduce the background noise. Plants absorb, diffract or reflect background noise, thereby making the environment more comfortable for occupants. Lead more about how to improve indoor air quality at homes and office? 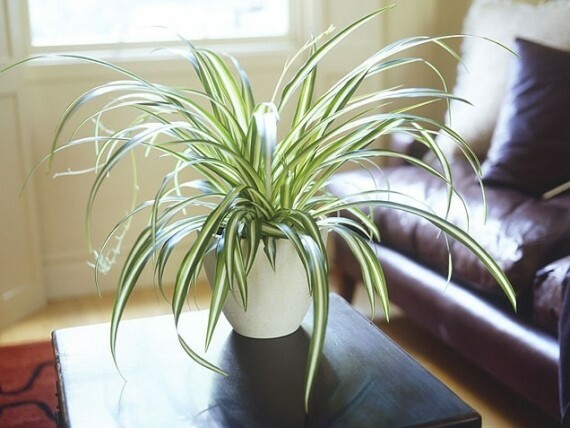 Below are some of the best indoor plants for air purification process. These indoor plants which can clean the air, remove toxins and improve air quality in home. Money plant is commonly known as pothos, silver vine, devil’s ivy and Solomon Island’s ivy. 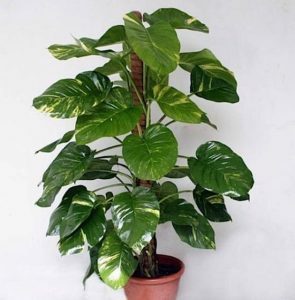 This plant is grown mainly indoors and helps purify the air by removing pollutants from air. Maintenance:- It thrives best in medium to bright indirect light. Too little or too much light, the leaves will become discoloured. Regular watering is required. Be vigilant not to overwater the plant. Areca palm is useful in filtering xylene and toluene from air. It works as a natural humidifier and a cooler. Maintenance:- It can be grown anywhere in house in indirect sunlight. Exposure to direct sunlight will turn the leaf yellow. This plant indoors can grown upto 7 feet. If the plant is placed in a small container, the crowded roots will help in limiting the size of the plant. To further limit the growth, you can regularly trim it. Aloe Vera is very famous for its medicinal purposes but did you knew this plant can also clear formaldehyde and benzene from the air thus purifying it. Along with the purification benefits it also helps cooling down the temperature thus making it a good option for summers. 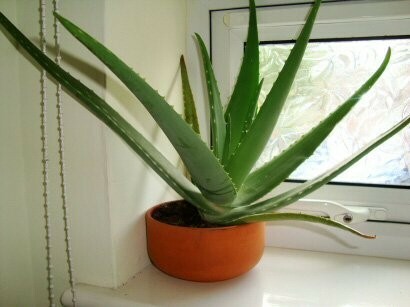 Maintenance: – Aloe plant like it to be dry and warm and not wet and cold. So you should water when you see that the pot is dry. The best spot for this plant is a sunny window. If placed in a full shady area, the plant will not thrive. 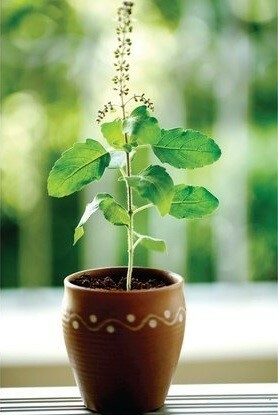 Commonly known as Tulsi, is one of the aesthetic and traditional plant of India. This plant has a number of medicinal properties and in addition it also helps purify the air and improve air quality. This plant is also known to keep away mosquitoes! Maintenance:- The best spot for this plant is sunny window and all you need to do is water regularly and watch it thrive. Spider plant gets its name because of the uniquely shaped leaves which dangle like spiders on a web. Incorporating this plant in your house is like getting a bumper package. This plant is known to combat all four most poisonous toxins; Formaldehyde, Benzene, Carbon monoxide and Xylene. Maintenance:- This is low maintenance plant. All you have to care for is to use well drained soil and not to make the soil soggy. This plant is commonly knwon as Mother in law’s tongue and Saint George’s sword. 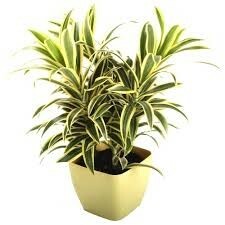 Looking for top air purifying plant with low maintenance, here is one for you. 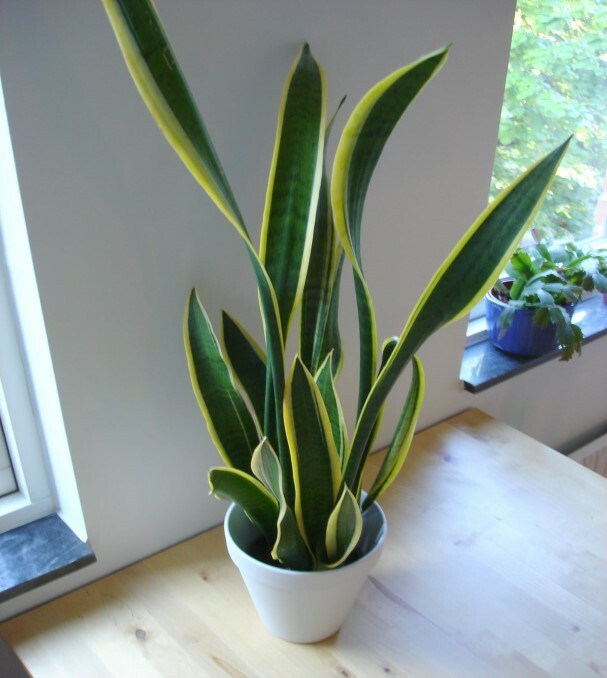 Snake plant is identified as the top air purifying plant by NASA and they suggest you to place it near bathrooms where it can filter out formaldehyde coming from personal care products. Maintenance: – This plant even is neglected will thrive and still give you long fresh leaves. Isn’t this low maintenance? But, the only thing to keep in mind is to plant it in free- draining soil as this plant can easily rot. Want a plant which looks beautiful and provides fresh air. Here is one for you. 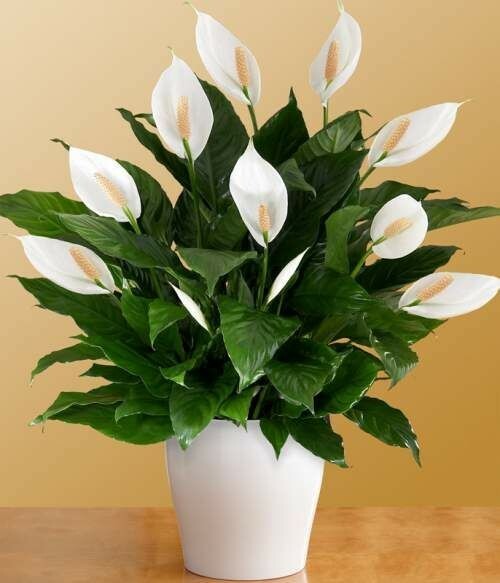 Peace Lily is one of the most productive in terms of cleansing the air. It will aid you get rid of formaldehyde, benzene and trichloroethylene. Maintenance:- Needs less light and weekly watering for its survival. Dracaena reflexa commonly known as Song of India or just Dracaena is one such plant which has been proved to remove a considerable amount of toxins from the environment. The main attraction of this plant is its leaves. Maintenance:- This plant can withstand some neglect and are easy to grow and care for. This plant doesn’t require bright light and requires quite high humidity to thrive. Weeping Fig initially takes time to grow but once complete it can grow upto 10 feet. It helps you clean up your indoor air by removing widespread air born toxins and by increasing oxygen levels. Maintenance:- Plant prefers bright light and sun but can tolerate poor light and has low to moderate water requirements. This plant cleans up the indoor air by releasing high levels of oxygen and removing toxic chemicals such as formaldehyde. 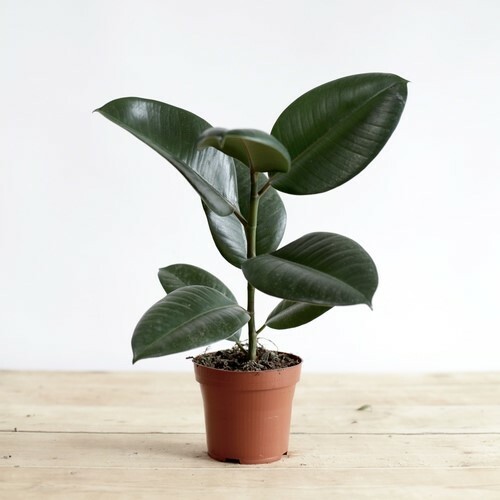 It has been observed that as time goes on, the rubber plant becomes even more efficient at eliminating toxic compounds from the air. Maintenance:- The plant need to be kept in filtered light and requires frequent watering. Now, you know one of the best ways to have a healthier breathing area. Then why not give a try by choosing any of these 10 indoor plants and see the difference yourself!